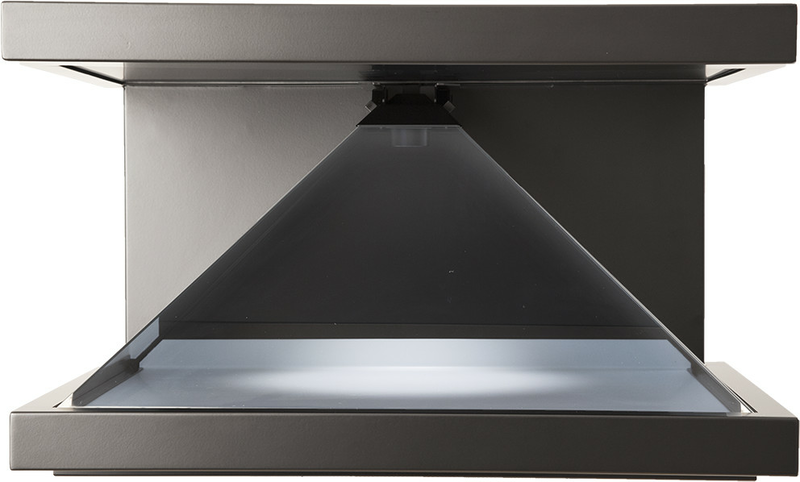 Attract more visitors and keep them there longer with the Dreamoc holographic displays. 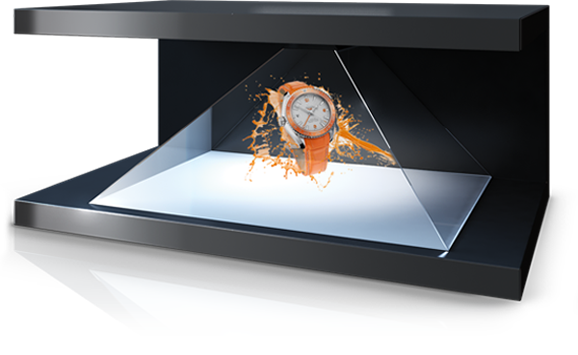 With a real "wow" factor these holographic displays are particularly well-suited to exhibition stands, product display, point of sale, reception or boardroom areas. Our Dreamoc display units are supplied by Realfiction of Denmark - a world-leader in the field. The units can be supplied with heavy-duty storage transportation cases, if needed, as well as stands. 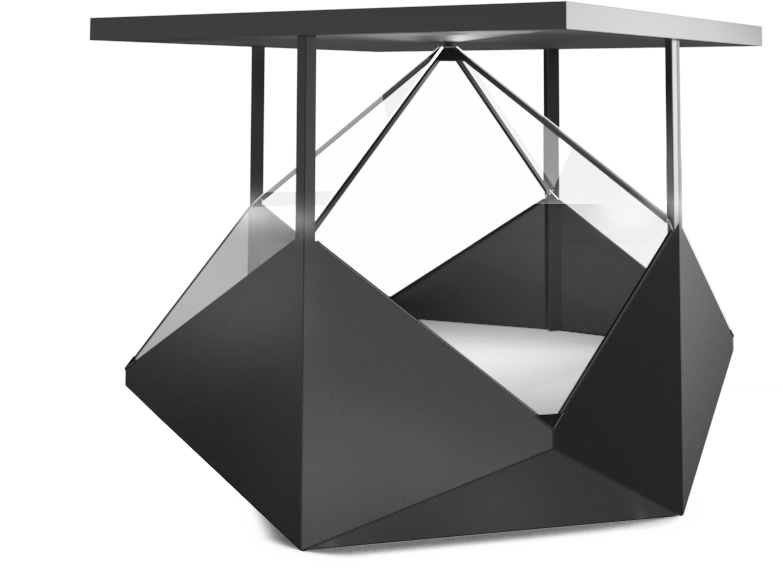 There are sizes, shapes and designs to suit all needs and budgets - from desktop units to large 360-degree walk-around versions. Integrated dynamic lighting and stereo sound ensure that your holograms are clearly seen and heard in any environment. 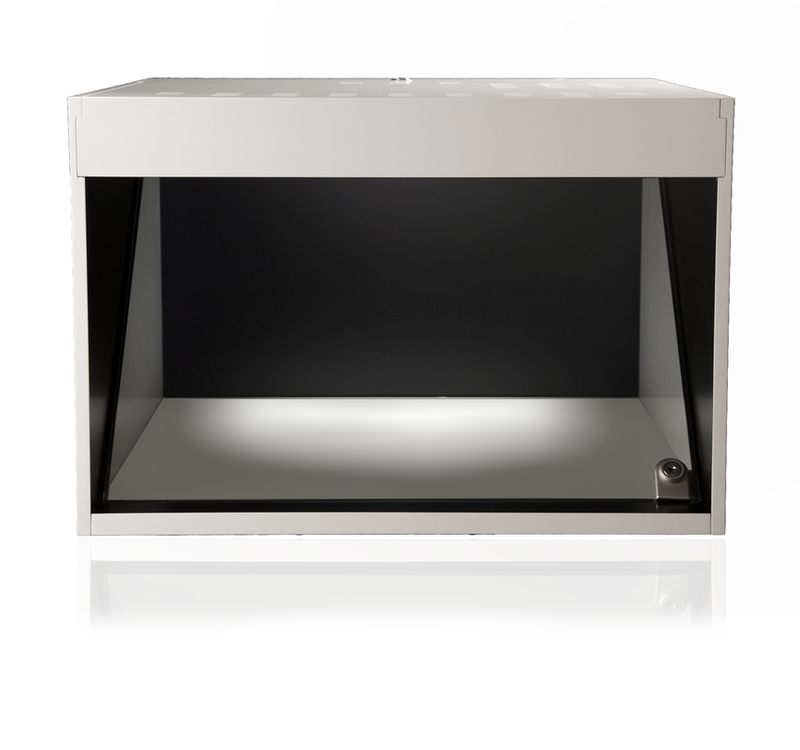 A walk-around unit, with 360-degree visibility – an ideal centrepiece for any display. Derived from the aesthetic shape of a diamond, this new type of holographic display elegantly glorifies your product in the most visually impressive way. Dreamoc XL3 is a truly powerful way to showcase your product. The display creates a huge holographic image which you can combine with a physical object, thus creating wonder and astonishment for the beholder. Enchanting, high-definition holographic images, with gargantuan display and superior sound quality. XXL3 (new): largest holographic display and the perfect choice for creating those memorable mixed reality experiences in larger settings such as malls, museums and big trade fairs with lots of other parties demanding attention from the audience.